What Matters More – Body Weight or Fitness? This discussion started in 1995 at The Cooper Clinic in Texas. They looked at the BMI’s of 25,389 men in their care. They saw that men who were more fit were less likely to die than those who were lessfit. It did not matter what they weighed. Since then, investigations have continued to look at versions of this question. And a new term was coined, the “metabolically healthy obese”. This means that a person meets the criteria for obesity but has normal blood pressure, blood sugar and cholesterol values. This is true for up to 1/3 of people who are obese and could suggest fewer health concerns. But does a metabolically healthy obese person still run the risk of developing heart disease? An answer came out of Europe in 2017. 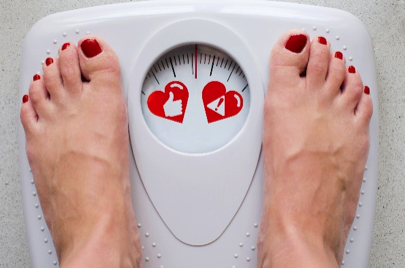 After comparing information on 17,600 people, those who were overweight and had normal blood pressure, blood sugar and cholesterol values still had a 28% higher risk of developing heart disease than lean people. However, the highest risk for heart disease existed in those with abnormal blood pressure, blood sugar, and cholesterol at any weight. What does this mean? It means the lowest risk of developing heart disease continues to exist in lean people with normal metabolic values. Moderate risk exists in those who are overweight but metabolically healthy. And the highest risk exists in those with abnormal metabolic values regardless if they are lean or overweight. What can you do? Exercising for fitness is a given. And if you can strive for a healthy weight before developing metabolic abnormalities, you are tipping the scales in your favor. DHAC can help you make those lifestyle changes. Each member of our Exercise Physiology staff holds a college degree in Exercise Science. You will find that their expertise and commitment will help you develop a safe and effective approach to weight control.